Ashley Moore is the Interim Art Director at Connor’s Creative Arts Center at our Care Center in Ghana. She is currently finishing up a three-month stint in Ghana where she has been serving the children and assisting in implementing art therapy curriculum. Ashley first connected with Nan Deal, our fundraising partner for Connor’s Creative Arts Center, and then spoke with Pam Cope about her desire to spend time at the Touch A Life Care Center. She agreed to join the Touch A Life team from August to November as the Interim Art Director. Our previous Art Director, Jenny Flowers, left Ghana to pursue an advanced degree in graduate school, and Ashley helped us keep things going at the Art Center while the Touch A Life team searches to identify a Ghanaian worker who can take over this position. This role involves engaging the children in various art projects and following the art curriculum provided by Art Feeds. Ashley also likes to incorporate art projects based on lessons from church, including topics that encourage the children to be the light of the world. When we asked Ashley to describe her typical day, she said that she spends her morning reading, writing and praying, and then she sets up the art supplies so the center is ready for the children when they return from school. Every day the kids spend about an hour and a half creating art and singing and expressing their feelings. Ashley also likes to play soccer and basketball with the children once they’re finished with their art classes! Ashley’s favorite moments in Ghana have been on Sundays during the traditional Ghanaian church services. “Hearing the kids sing and worship the Lord is wonderful. It’s the sight and sound of freedom and glory to God,” she wrote to us in an email. 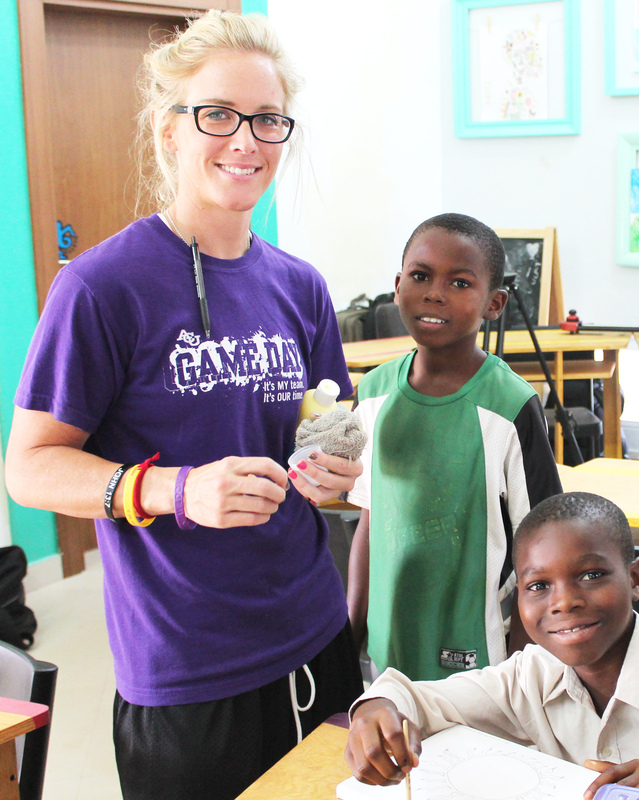 We are so thankful to Ashley for her time and service in Ghana. Stay tuned for news about who we have lined up to fill her shoes!